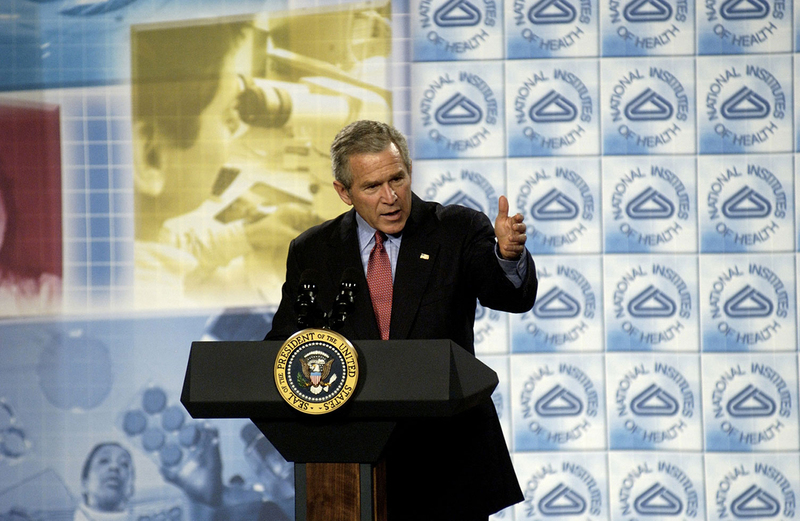 President George W. Bush visited NIH on November 1, 2005 to announce the government's pandemic influenza preparations and response. At a Natcher Bldg. address of just under half an hour, he outlined a $7.1 billion plan to meet the threat of avian flu. Bush credited NIH for more than a century of work "at the forefront of this country's efforts to prevent, detect and treat disease, and I appreciate the good work you're doing here. This is an important facility, an important complex, and the people who work here are really important to the security of this nation." 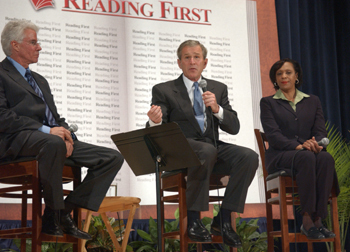 President George W. Bush visits NIH on May 12, 2004 and participates in a panel discussion about reading education and development. Touting his No Child Left Behind legislation and its Reading First initiative, President Bush talks with other panel members, including G. Reid Lyon (l) of NICHD and Alabama kindergarten teacher Cynthia Henderson (r). 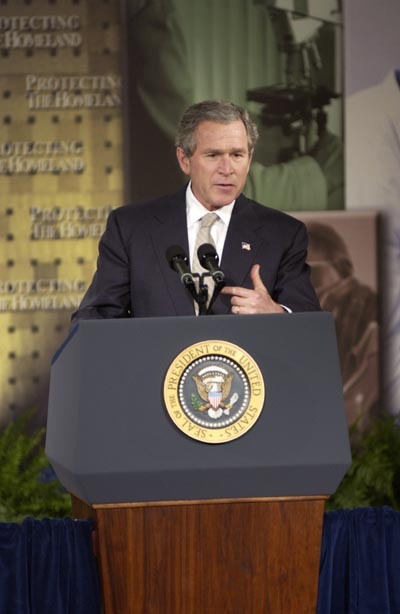 President George W. Bush delivers an address on Project BioShield to a full audience at Natcher Auditorium during his visit to NIH on February 3, 2003. 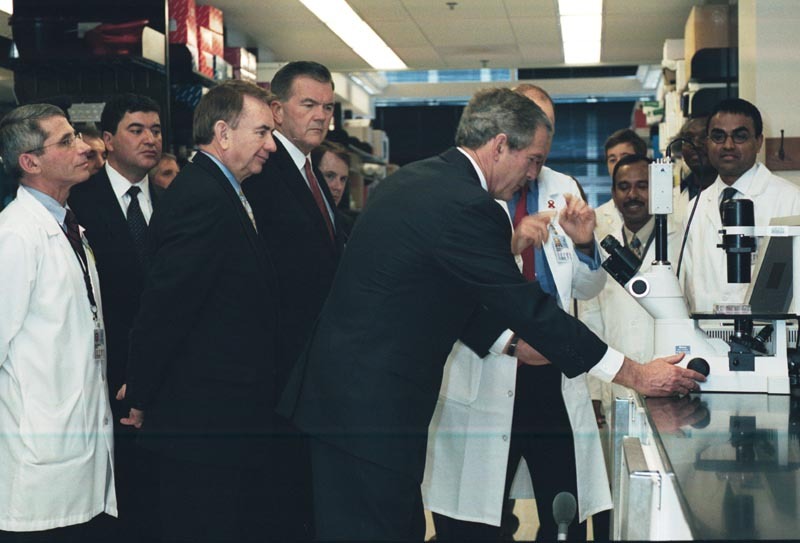 President George W. Bush tours the Vaccine Research Center on February 2, 2003. He is accompanied by (from left) NIAID Director Anthony Fauci, NIH Director Elias A. Zerhouni, HHS Secretary Tommy Thompson, and Secretary of the Department of Homeland Security, Tom Ridge. 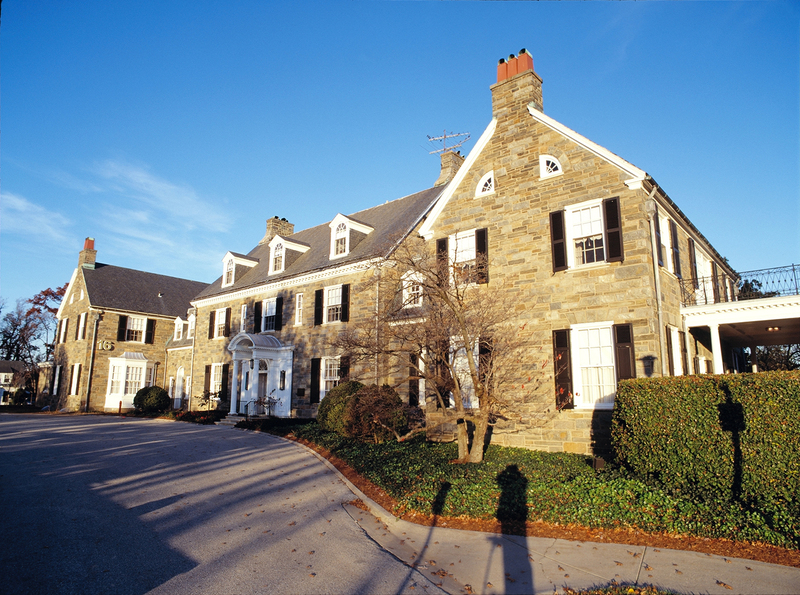 Building 16, the "Lawton Chiles International House," is a locus for international activities supported by NIH and the Department of Health and Human Services (HHS).